Glad I finally found such a good service. My hygienist was very informative and loving. No wait time which was great.Dr. G actually spends quality time with you and goes over everything in detail. Glad I finally found such a good service. My hygienist was very informative and loving. No wait time which was great. Dr. G actually spends quality time with you and goesover everything in detail. Truly an amazing experience. Highly recommend Dr. Joseph. 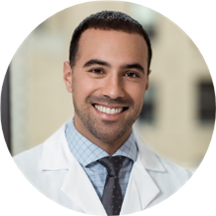 Dr. Joseph Gelo is a native New Yorker born and raised in Bensonhurst Brooklyn and then Staten Island new york where he attended Wagner College and earned a Degree in Psychology with a minor in Chemistry. Dr. Gelo completed his Doctorate in Dental Surgery at New York University College of Dentistry and then completed a GPR residency at Lincoln Medical and Mental Health Hospital. Dr. Gelo performs a wide variety of procedures: root canals, surgical extractions, surgical implant placements and restorations, bone grafting and general restorative and prosthetic dentistry (including crowns, veneers, bridge, etc). Dr. Gelo is also board certified with the American Academy of Facial Esthetics for Botox and Juvederm. Dr. Gelo speaks both English and Spanish. In his free time, Dr. Gelo enjoys basketball, football, watching movies, pilates, yoga and of course taking his Doberman, Rocco, to the park.